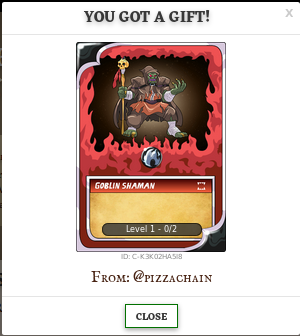 I recently held a Poetry Contest, with a Gold Foil goblin shaman as prize. Received 5 wonderful entries and today is the right time to pick a winner! Well done! A gold foil shaman is heading your way! They will win a consolation price of... Goblin Shamans! 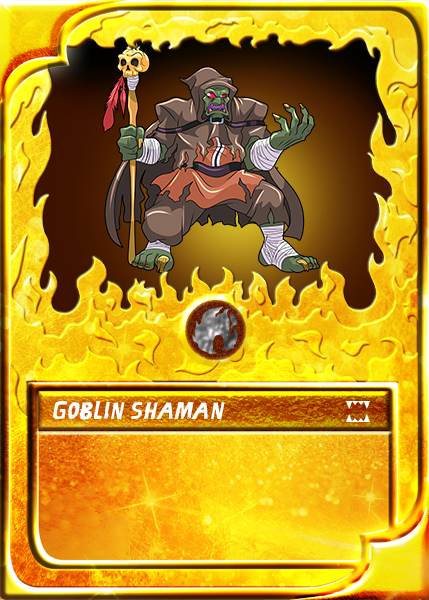 A regular, but just as powerful, goblin shaman is heading your way! Thank you ^^, well done Malric, I agree with the selection of the winner, it was the best poem by far. Cheers. Wow, thanks for this! I'm sorry that my entry wasn't all that great. I really am not a poet in the traditional sense of the word. I should start getting more into fanfic writing for #steemmonsters though. I'm currently getting my creative juices flowing for #steempunknet too. I think I need to read more about both of them first though, to learn more about the established lore so far.